Inspired by Fabric: Freeform 2 Is a Hoot! We're glad that you love the new Freeform 2 prints as much as we do! We've been having fun playing with these cool oranges, grays and browns. Our first thought? 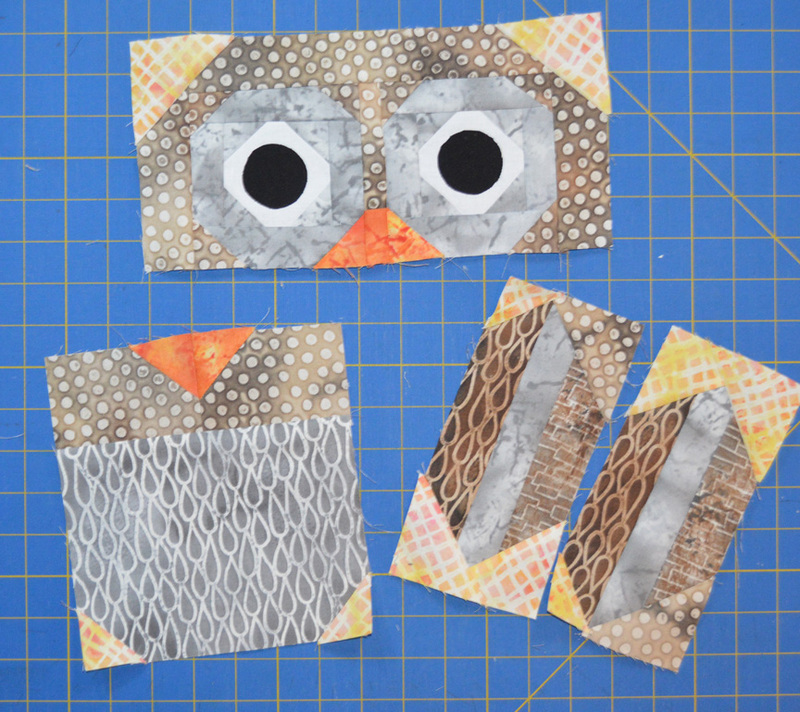 The colors and textures are perfect for an owl. 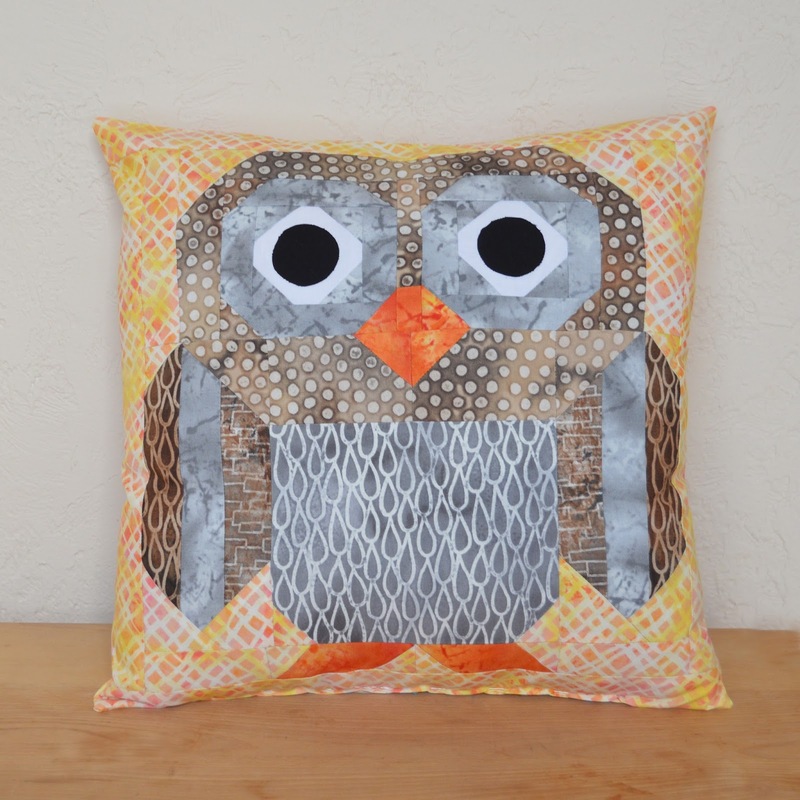 We used this tutorial from The Objects of Design to piece an owl, and then transformed him into a throw pillow. Hoot hoot! We're in love! 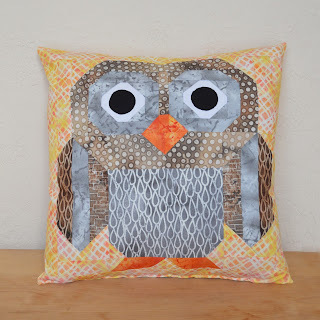 Your Owl Pillow is adorable! Thanks for sharing! 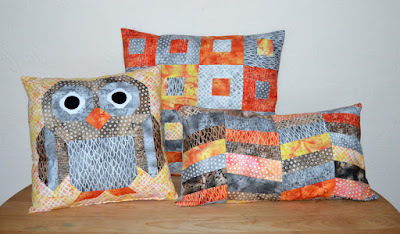 That is perfect owl fabric. He looks great!